Julia met her husband while they were coworkers in Russia. Shortly after the birth of their son, he convinced her to temporarily move to his hometown of New Orleans to care for his mother. Well educated and employed in her home country, Julia now found herself isolated in the U.S. Her husband's abuse was not only physical, but mental and emotional. "He was threatening to deport me. When I told his family about the abuse, they would say they don't understand my English," she recalls. Luckily, Julia was connected with the caring, compassionate staff at Project SAVE (Stopping Abuse Through Victim Empowerment). See how Project SAVE changed Julia's life. Louisiana has the highest incarceration rate per capita in the world and the most legal restrictions on employment for ex-prisoners in the country. 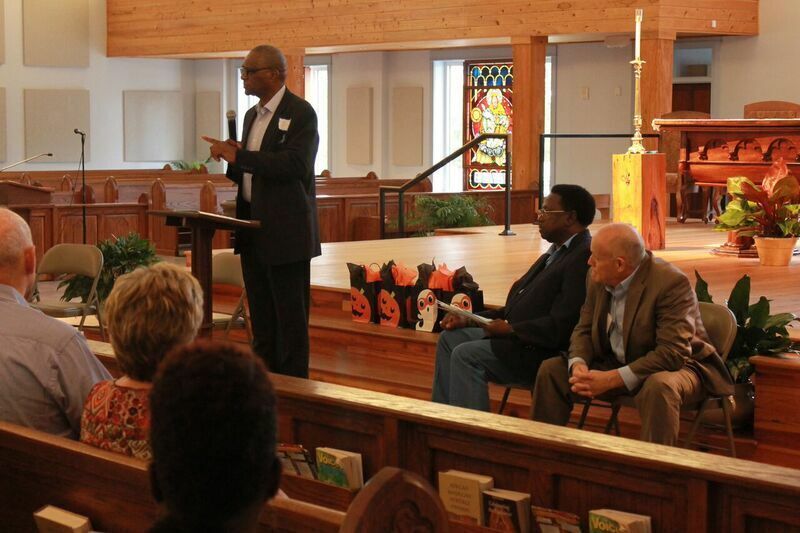 Each year, Catholic Charities' Cornerstone Builders, in collaboration with other local organizations and community leaders, hosts a Symposium for Systemic Change and Criminal Justice Reform that concentrates on systemic change in the criminal justice system with the ultimate goal of ending mass incarceration. Featuring more than a dozen speakers and mass celebrated by Archbishop Greogry Aymond, this year's symposium will take place on Friday, October 21, 2016, from 9 AM to 2 PM at St. Agnes Church (3310 Jefferson Hwy.) Mass will be held at 8 AM. More details here. 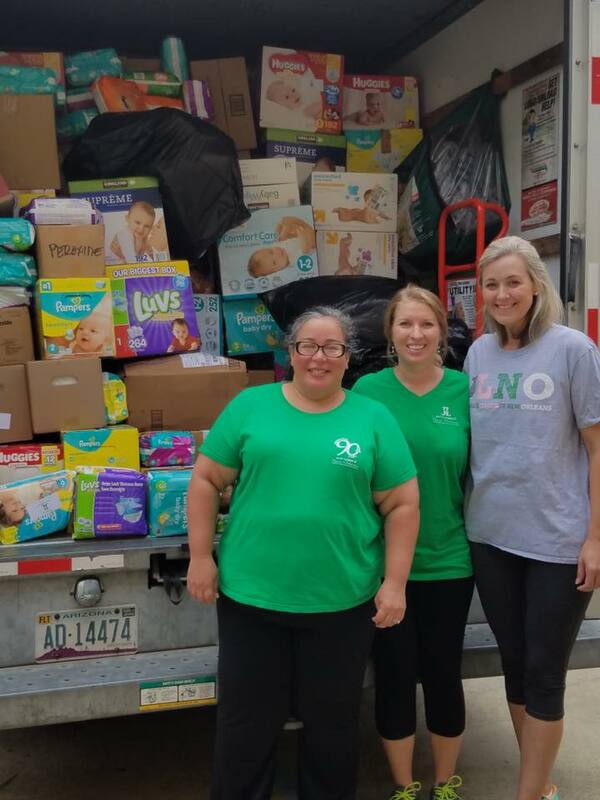 Last month, the amazing ladies from the Junior League of New Orleans collected, packed and delivered supplies to our Spirit of Hope Disaster Recovery program, which is currently assisting with the long-term needs of those affected by recent flooding across our state. The supplies were distributed to families whose homes flooded in March and again in August. Donated items included diapers, wipes, baby carriers, socks and shoes, clothing, linens, toiletry items, vouchers to shop at the Junior League Store and more. Thank you, ladies, for your continued generosity and support! 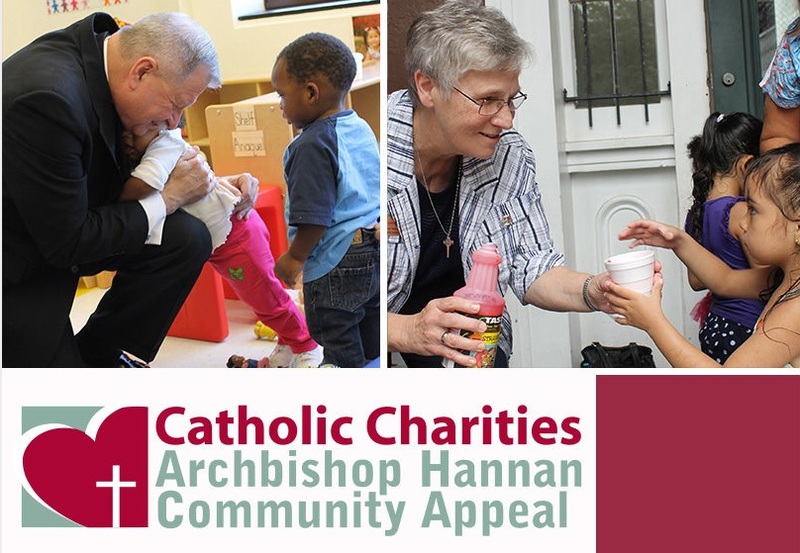 Under the leadership of this year's campaign chairman, Mr. Paul Fine, the Archbishop Hannan Community Appeal 2016 Campaign is officially under way! This year, the campaign aims to raise $1.8M in unrestricted funds to serve the most vulnerable in our community. To date, the campaign has brought in $292,376. Donate today! Catholic Charities Archdiocese of New Orleans is pleased to announce a new AmeriCorps program supported by a grant from the Volunteer Louisiana Commission in the office of the Lieutenant Governor. This exciting new program will help both returning citizens and low-income older adults in Orleans Parish. See the benefits for everyone involved. This All Souls' Day, we will join our brothers and sisters in prayer to commemorate the faithful departed in our community. We invite you to share your prayer intentions or the names of your loved ones with us for our Catholic Charities family to remember this All Souls' Day.